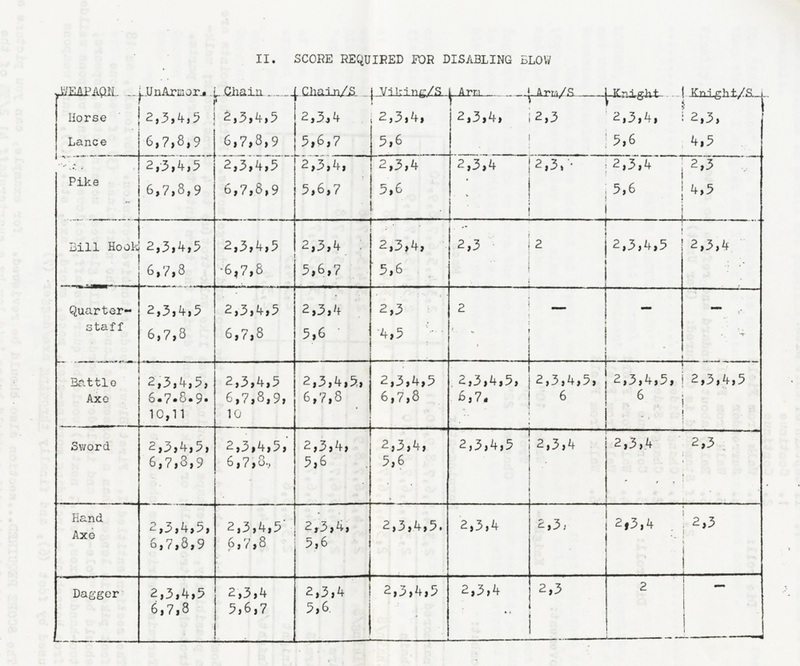 Just months before Chainmail came out, when Gary Gygax put together the seventh issue of the Domesday Book, he included a ruleset submitted to the magazine without any indication of its author: a set of medieval skirmish rules Gygax jokingly attributed to "U.N. Owen." 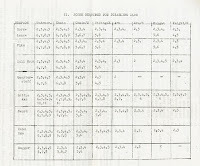 These incorporated a crucial precursor to Chainmail, a man-to-man table (shown above) requiring different to-hit rolls for various weapons against a progression of armor types, and thus an influence on the armor class progression and attack matrices of Dungeons & Dragons. Gygax hoped that "one of the readers can enlighten the rest of us" as to the author of the "U.N. Owen" rules -- ultimately, they trace back to a 1966 set by Phil Barker of the Wargames Research Group in Britain.